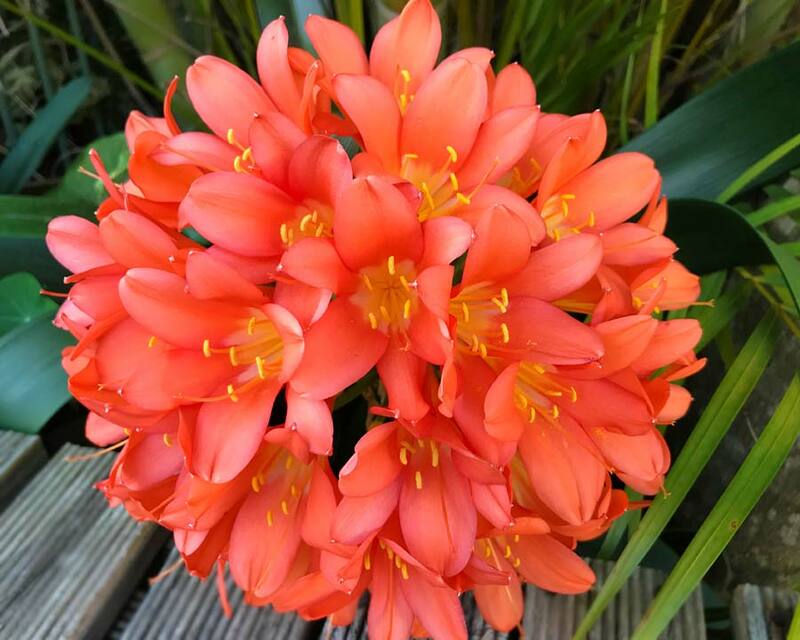 Meta Description : Clivia miniata is a clump-forming, evergreen perennial plant with glossy-green leaves and trumpet shaped, orange flowers that appear in early springtime..
Clivia miniata is a clump-forming, evergreen perennial plant with glossy-green, flat, broad leaves around 400 to 600mm long that spray outwards. From the centre rise stems bearing umbels of brilliant, orange, multiple trumpet-shaped flower heads in springtime. The flowers are funnel form and appear in umbels of 12-20 blooms and mature to globular, bright red, flashy berries. This is perfect for planting in amongst and under trees and taller shrubs, providing good glossy-green foliage at ground level all year round whilst producing spectacular splashes of brilliant colour in spring. 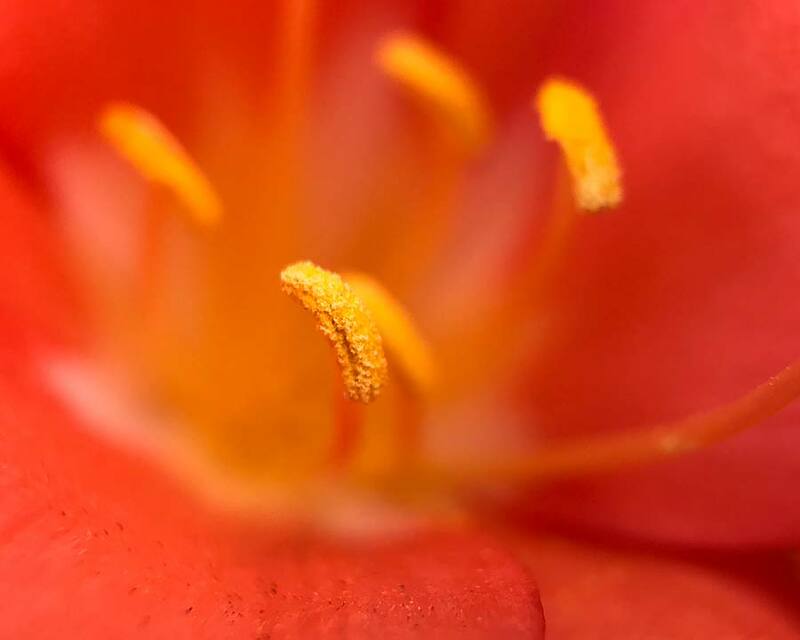 The most common colour is a bright orange, though lemon yellow is also quite popular and they are always best when planted en-masse in single colour drifts. 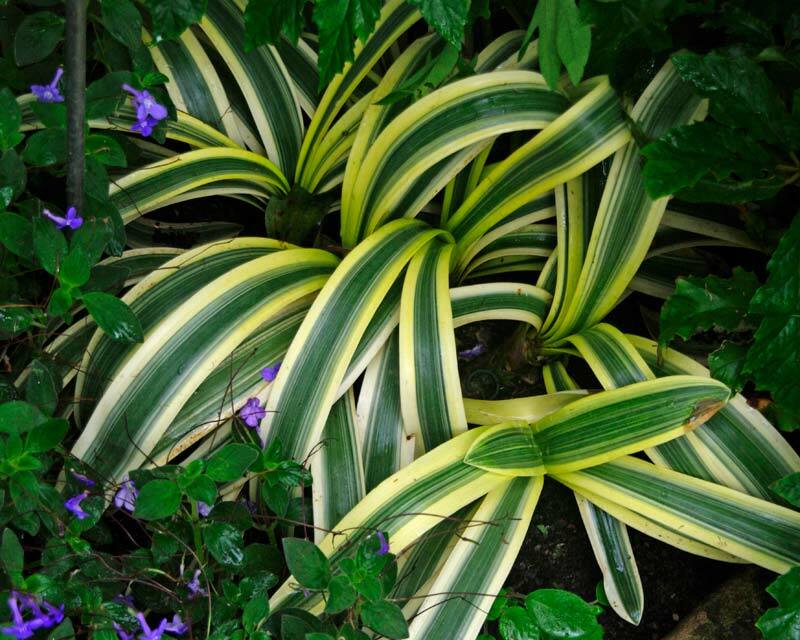 These are extremely hardy plants and can handle all sorts of abuse, though too much direct sun will scorch their leaves so ensure they have a good amount of shade or dappled shade throughout the day. 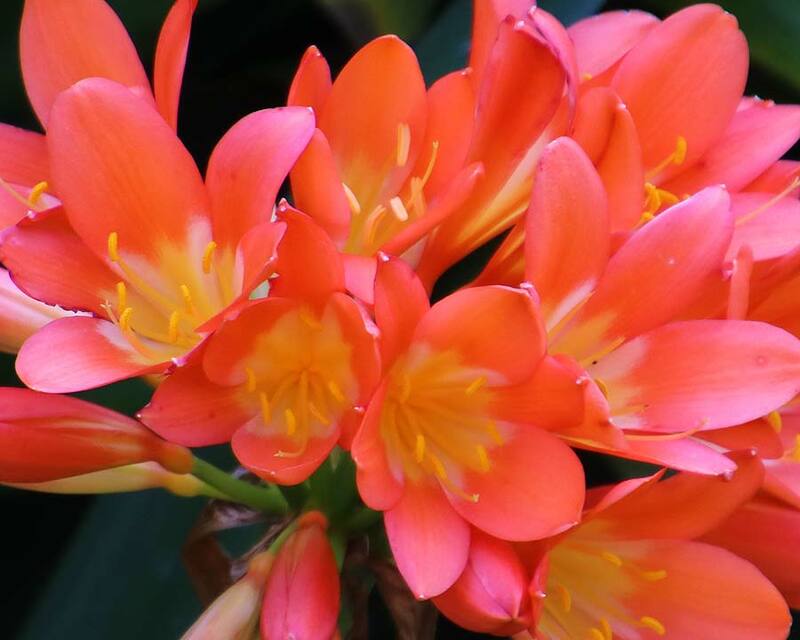 Clivia miniata are a great harbinger of springtime, flowering as they do from late winter through to late spring. They provide excellent garden colour in shady areas and also last for a long time when used as cut flowers. 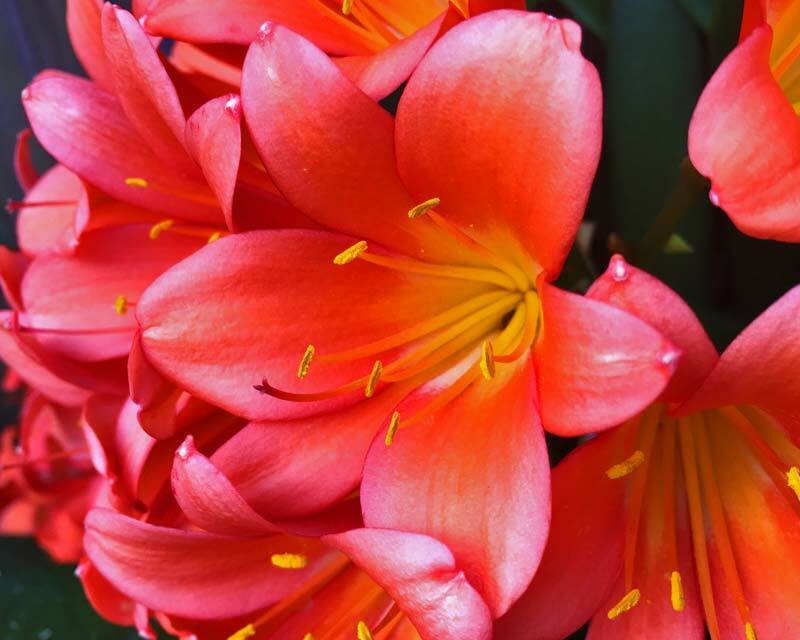 Soil: Clivia miniata like soils rich in humus and to be well drained - though moisture is important, so mulch well in summer. They can handle poor soils but do better if plenty of organic matter has been added. Choose a shady location, though some short periods of direct sun is Ok as long as it isn't afternoon, scorching sun. 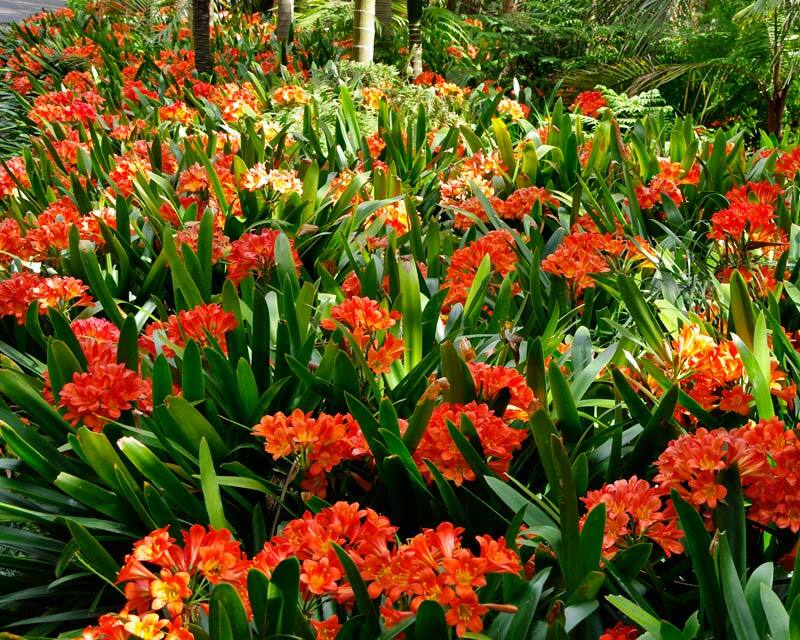 Maintenance: Water Clivia miniata well in summer, mulch and feed with blood and bone two or three times a year to improve flowering. No need to water in winter when they can be lifted once every two years or so and divided by prising the rhizomatous roots apart before replanting. These are immensely hardy, rhizomatous plants so you can be brutal with them when dividing, just slice through the root area with a spade to make individual plants - they will recover quite easily once planted. Remove dead flower heads or the fruits if they set. 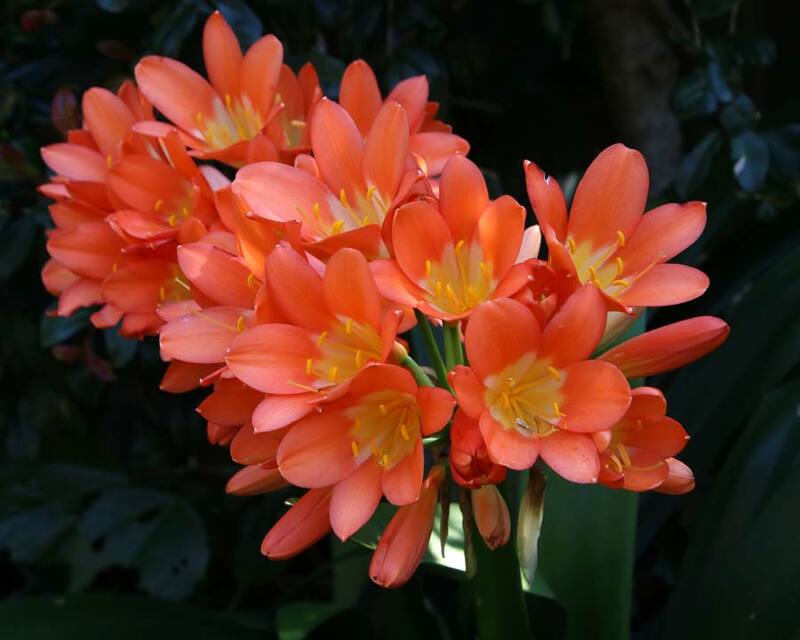 Other Species: There are six recognised species in the Clivia genus including this one (Clivia minata) and Clivia caulescens, Clivia mirabilis, Clivia nobilis, Clivia robusta, Clivia gardenii. 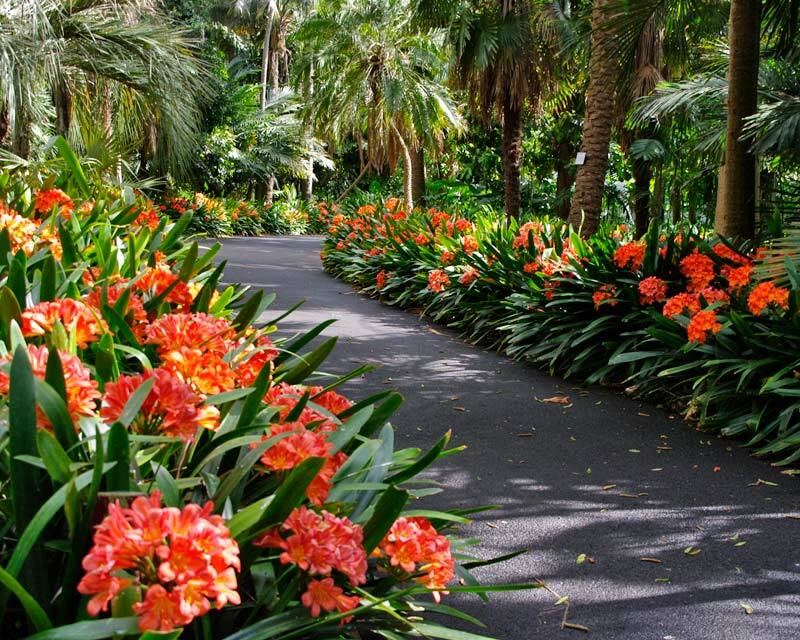 Comments: See the en-masse planting of Clivia miniata at Sydney's Taronga Zoo and at the Sydney Domain Botanic Gardens. 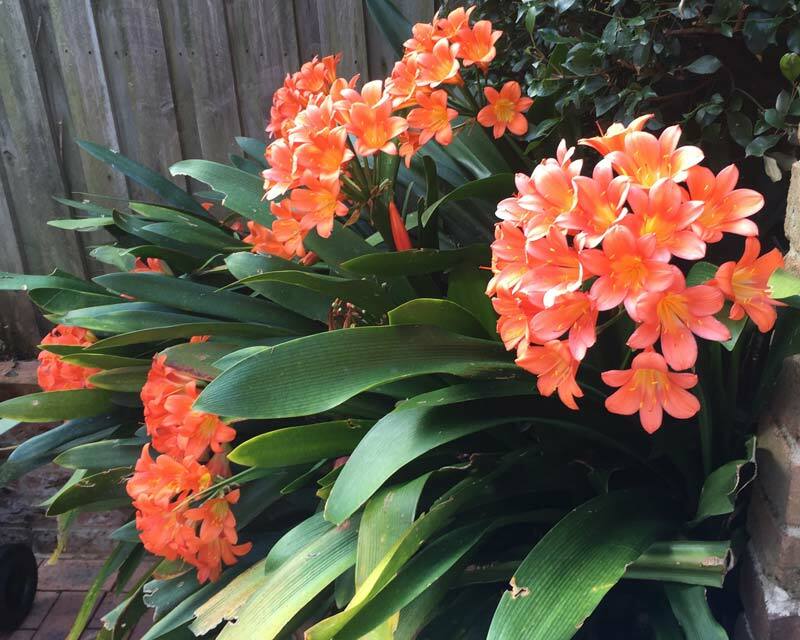 Lynn has been supplying popular and rare plants to on-line customers for over 12 years from her Blue Mountains, NSW nursery. Enable compression for the following resources to reduce their transfer size by 299B ( 28% reduction ). Minify CSS for the following resources to reduce their size by 1.9KiB ( 16% reduction ). Minify HTML for the following resources to reduce their size by 2.2KiB ( 16% reduction ). Optimize the following images to reduce their transfer size by 55.1KiB ( 48% reduction ). Minify HTML for the following resources to reduce their size by 1.9KiB ( 16% reduction ). Optimize the following images to reduce their transfer size by 57KiB ( 47% reduction ).